PHILADELPHIA (WPVI) -- There were some new students on the campus of Temple University in North Philadelphia Thursday who looked very familiar to music fans. 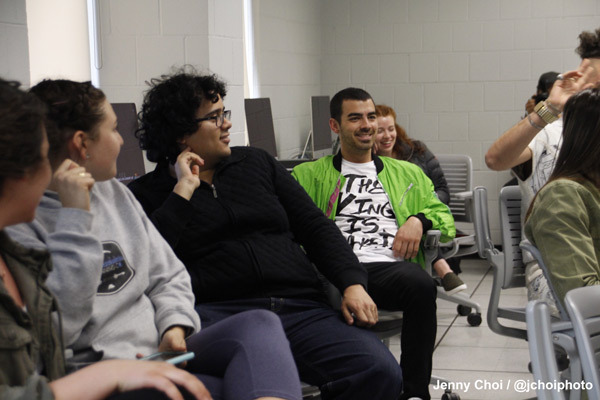 As students entered their social media marketing class, it appeared the band DNCE, including frontman Joe Jonas, had enrolled. As the professor went on with his lesson, the students began to realize something was up. 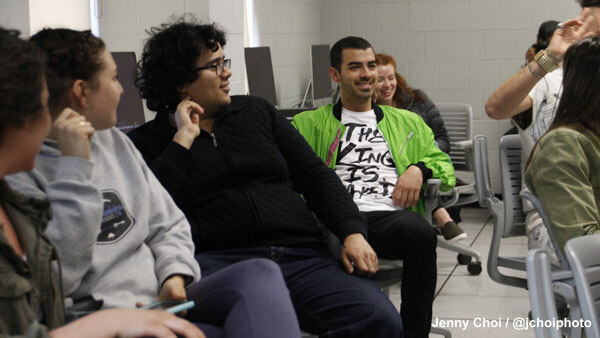 "Student caught on after a while and kept asking the professor why DNCE was in class with us," Ian Aubry, a Temple student and College & Marketing Representative for Universal Music Group, who helped set up the surprise, told Action News. After DNCE were called out by the Temple class, Aubry said the band then pretended to be foreign exchange students from Holland. 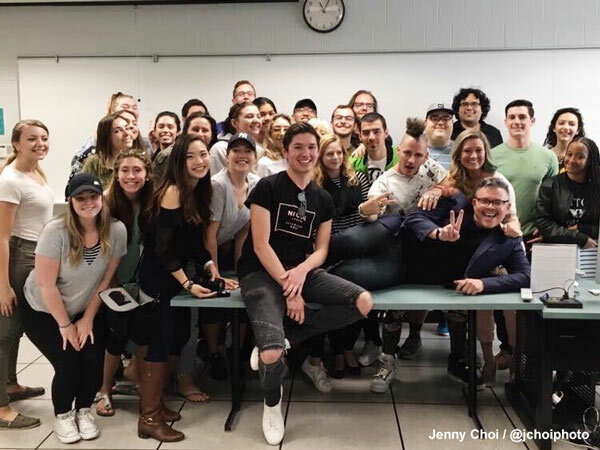 "Eventually, the joke was up and the band posed for selfies and met the entire class," Aubry said. 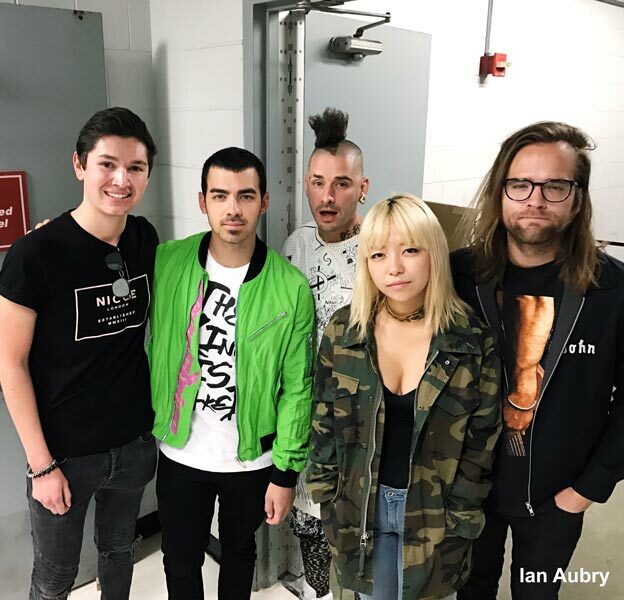 The band DNCE, made up of Jonas, Cole Whittle, JinJoo Lee, and Jack Lawless, mingled with the Temple students, as they prepared for their Owlchella performance Thursday night at the Liacouras Center. The 'Cake by the Ocean' band just released their newest single 'Kissing Strangers' featuring Nicki Minaj. 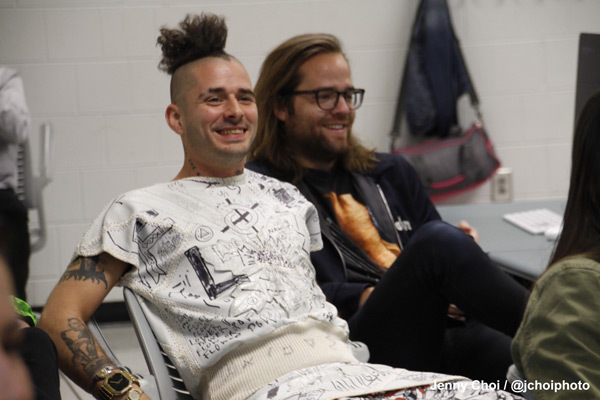 Along with DNCE, the Owlchella concert includes Flo Rida and Matthew Schuler. 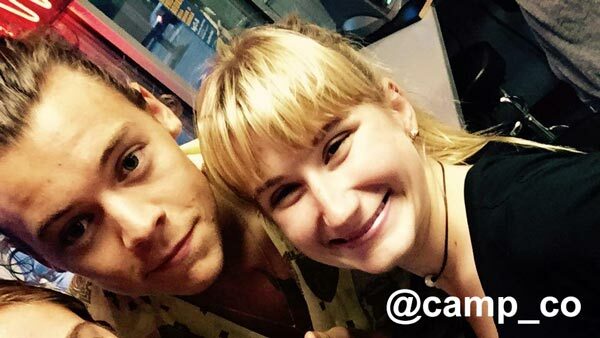 One Direction will be playing Lincoln Financial Field tomorrow night, but one of the pop band members stopped by Villanova University for a bite to eat and to take some photos with fans.